An essential step on the journey toward reading fluency is getting reinforcements. They are called Leveled Literacy Libraries, and Harlingen CISD educators will be using them to assess each student’s individual needs to ensure they are reading on level by the time they reach third grade. It is a whole-team effort, everyone from teachers to principals to library media specialists received training this summer from Scholastic Education representatives on guided reading, or small-group instruction, which provides support for students at different levels so they may develop reading proficiency. Alvarez said the focus for implementing the program this year will be kindergarten through second grade and next year it will be on grades three to five. 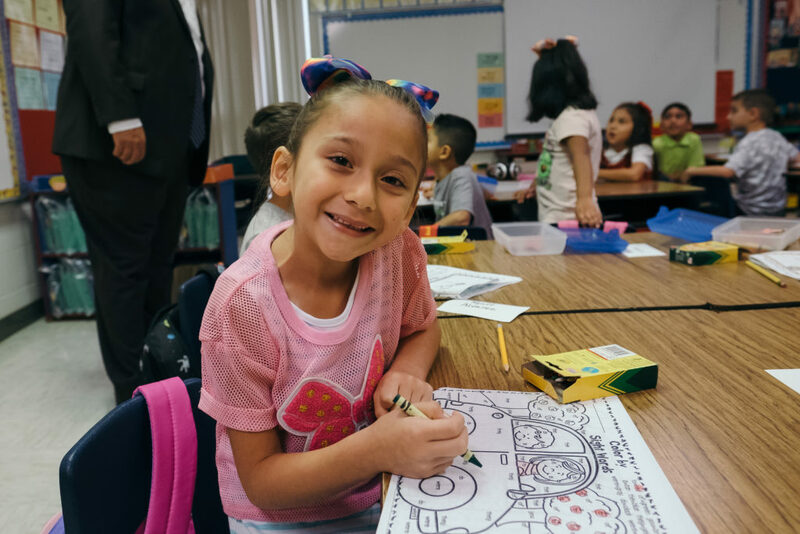 HCISD has been honing in on different aspects of reading instruction and adding to the curriculum every year in support of its early literacy initiative outlined in the district’s 2014 strategic plan. In Leveled Literacy Libraries, books are coded from A through Z, progressing from easy reading to more challenging text. Alvarez said the highlight is that it’s not contrived literature written for this specific purpose, but they are books that students could easily check out at the library if they wanted to. Alvarez said that these libraries would allow principals and teachers to look at their data and evaluate with which concepts students are experiencing the most difficulty. The library media specialist will then recommend books from the literacy library to reinforce those concepts at their particular reading level.